How did you get your toddlers to try new foods? 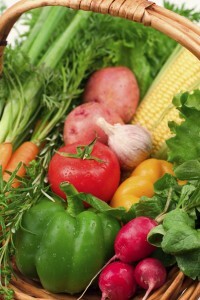 Our Mommy MD Guide’s reply: From the day my kids started to eat table food, I exposed them to a broad variety of foods. My goal wasn’t so that they would like it, but rather so that they would not be afraid or hesitant to try new things. To break the ice when putting something new in front of them, I used a technique my husband and I called “culinary comparisons.” For example, when we gave them falafel for the first time, I told them it was an “Egyptian hamburger,” so it was not something completely new to them. In other words, my kids were very familiar with hamburgers, and falafel is shaped like hamburgers (even though it is chick peas), so the Egyptian part was just a little added twist! In the face of something new, I would compare it to a food they knew and loved. This technique worked nine times out of 10!